There is a sweet spot between frugality and environmentalism. While I aim for both values and they have much overlap, they are sometimes at odds with each other. And I discovered that I’m happiest when I stay in that sweet spot. Read on to see what I mean. 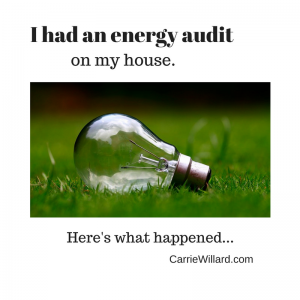 As I review the nearly 2,000 posts published on this blog, a few things have struck me. I’ve changed through the years. One of the things I noticed? I was a pretty crunchy mama. Now, I’m a bit… soggy. 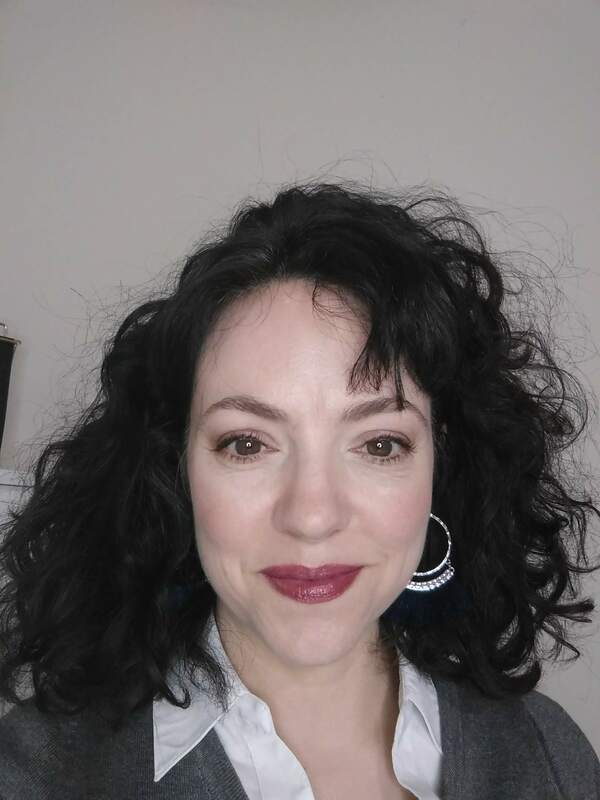 I did things like make my own skin and hair care products, live without a dryer for a few years. I used cloth diapers with all seven of my kids and even did a bit of elimination communication with a couple of them. We drank raw milk and I made my own sauerkraut. I rendered lard and made my own dishwashing liquid for goodness sake. Five of my babies were born at home. Etc. For several years I recorded a podcast called Natural Moms Talk Radio. Most of those 100+ interviews were on eco-friendly, ultra-crunchy alternative topics. I’m not as crunchy as I used to be. At the moment, there are (gasp!) paper plates and cups in my kitchen because my dishwasher has been broken for weeks (the repairman is coming today, praise be!) and I got tired of spending so much time washing dishes for nine people. I don’t make homemade natural cleaning products. I think my crunchy turned a bit soggy as my family grew and as I got older (read: more tired). I simply don’t have the time or energy to do some of the things I used to. However, I still do many things that are environmentally responsible. I use reusable grocery bags (hello, ALDI! ), clean with microfiber cloths, I still use cloth diapers, I shop used for 75% of the things I acquire, I conserve water and energy, wash laundry in cold and even take cool showers. And I hang laundry occasionally – particularly last week, when my dryer was broke. Ordering household essentials online (using Amazon Subscribe and Save, for one) is more eco-friendly than driving to the store all the time. Since one truck taking thousands of items to people in the area is better than thousands of people driving to the store. I also place a lot of importance on healthy eating. It’s why I gave up sugar 10 months ago. What’s all this crunchy talk have to do with frugality? 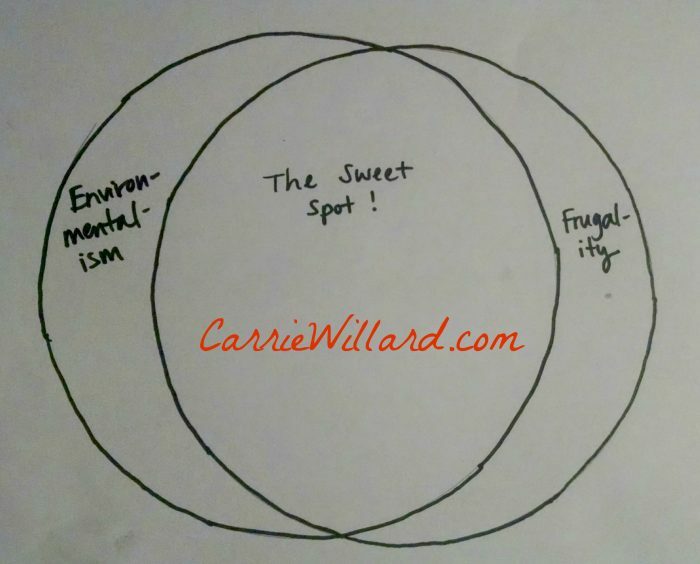 I’m happiest when I stay in the sweet spot between frugality and environmentalism. Some things are obviously frugal and eco-friendly. Hanging your laundry. Using cloth diapers. Keeping the A/C at 81 all summer. Breastfeeding. Etc. Others are environmentally friendly but not particularly frugal. Paying extra for the safer toothpaste . Shopping for the highest-quality clothing because it will last for decades. Installing solar panels on your roof. Eating organic food. I snagged free-after-coupons-and-deals shampoo last summer, but the plastic-y perfume smell coming off of my daughters’ heads is making me sick. I regret that purchase. It would have made me happier to spend a little more for paraben-and-phthalate-free shampoo. We’re happiest when our spending aligns with our values. I know this, but I forgot temporarily. Staying in my sweet spot of frugality and environmentalism means I just might go back to making some homemade products. At least, the ones that actually work! (I’m talking to you, homemade laundry detergent.) It also means buying natural skin care products from companies like Grove, who has really great prices and seasonal discounts. What’s your crunchy/soggy sweet spot? Have you gotten more, or less crunchy over the years? I don’t think there’s a right way or a wrong way to be frugal. Since we’re renovating a house at the moment, I just don’t have the time to do my typical frugal activities, like making yogurt or baking bread. And we also have paper plates and plastic cups in our house at the moment! Normally I’d be aghast, but hey, life gets hard and sometimes you do need the convenience. 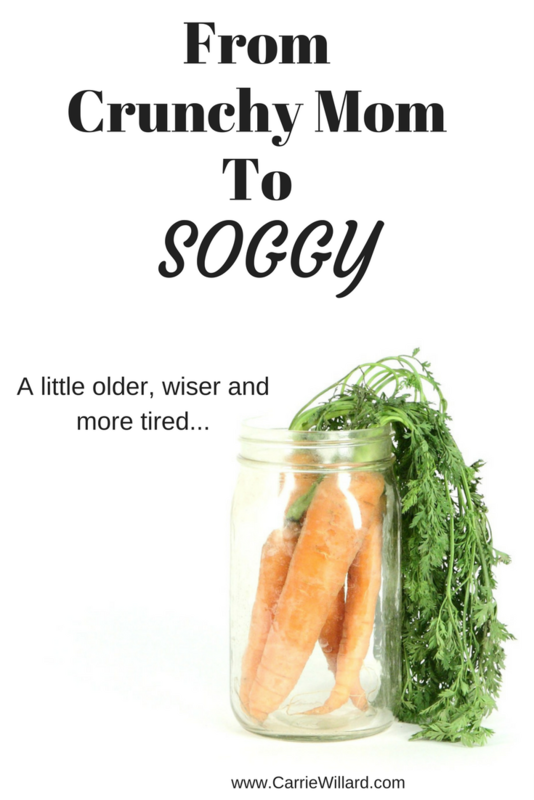 As a fellow frugal soggy mama with seven kids, I would love to read this book! I’m a soggy mom and a new follower of your blog and I’m just now trying to find my sweet spot as well. I used to be a spender more than a saver and it’s been so gratifying to save more money and also become more environmental friendly. Thank you for a great read! Yep, I’m not as crunchy as I used to be, either. Part of it perimenopause lack of energy, part of it just realizing that the world will never be perfect and I am not obligated to bend over backward to try to make it so. My big deal is not buying new sweatshop-made clothes (read: 90% of clothing sold either online or in U.S. stores), but we’ve moved to a place where the nearest decent thrift store (a Goodwill) is an hour away, and it is much more lacking than what I got spoiled by when we lived in the ‘burbs. But I do not want to shell out $72 for a fair-trade made sundress when I know the material is not going to last any longer than sweatshop clothing (trust me, BTDT). It sounds like a book I’d love!!! Sounds like an interesting read! I’d love it! Thank you! I think I’m along the same track as you when it comes to easing up on my environmentalism, and balancing my frugality with what aligns with my values. I feel like it’s such a balancing act though, I at the moment it’s driving me a bit crazy. We’ve had to change our eating habits, and I thought that NOT buying a lot of our old junkier food would balance out the fact that we’re buying healthier, more expensive stuff. Not so. My food budget is screaming, and the frugal side of me in torture. Anyway, I would love to win a copy of the book. Sounds like it’s right up my alley. This book sounds perfect for when you should make six thousand healthy happy decisions but can’t because oh the humanity and the choices and the earth and my paycheck and yeesh. Trying to walk that line and focus on being the best momma I can be…crunchy and soggy.